Yummy magazine is going 5!!! With the addition of new pages, YUMMY now boasts of a meatier content. Guest Chef is a new section where readers can get to know the cooking style of a noteworthy personality each month. Another is the Yummy Likes! which features YUMMY editors’ current best picks of their favorite food, drinks, and restaurants in the country. The Everyday Recipes section is now given an upgrade with the addition of more baon ideas using five ingredients only. Plus, YUMMY also trains the spotlight each month to local artisans who are living out their passions in their Making It page. 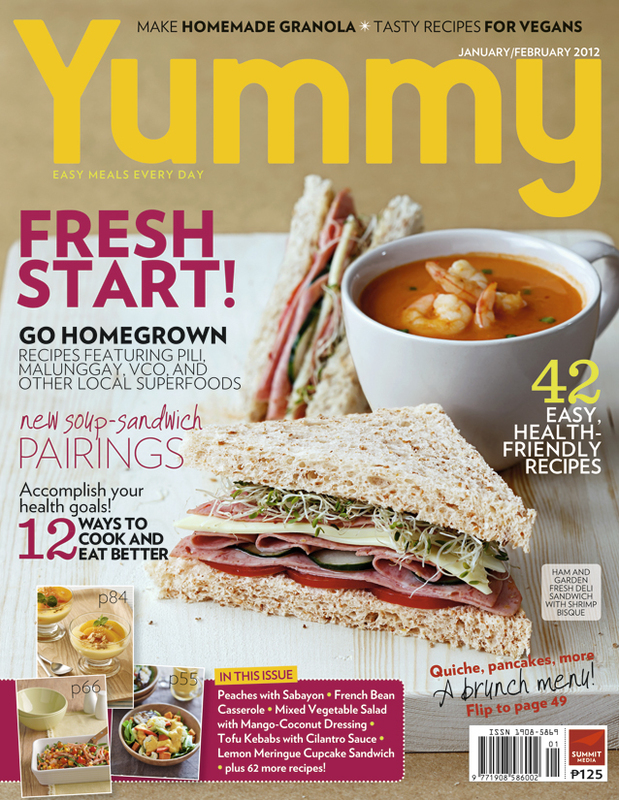 The January-February issue of YUMMY is also a healthy issue which features homegrown products and local superfoods guaranteed to improve your lifestyle, help you make the right food choices, and achieve a balanced and healthy diet. YUMMY is available at newsstands, bookstores, and supermarkets nationwide. For more of YUMMY online, visit www.yummy.ph, become a fan on Facebook via Facebook.com/yummymagazine and follow them on Twitter via Twitter.com/yummyph.